A sales agent can also be applied to a customer's account. This is common practice when all orders pertaining to that particular customer are subjected to a contracted commission amount/percent with a particular sales agent. So for example, ACME Company, has a contract with sales agent, Matt Mason. Commission will be calculated on all orders that ACME Company signs up for. All commission will go to the assigned sales agent, in this case, Matt Mason. To set this up the first step is to create a commission plan. Name your commission plan, give it a commission code. Selection of Billing Plan: Leaving the billing plans unselected allows the commission plan to be associated with any of the subscription plans you have created. 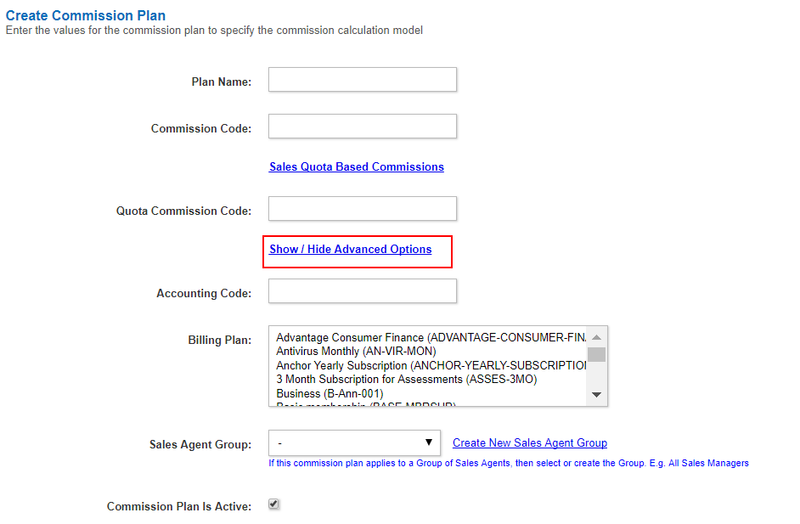 Sales Agent Group - If you are creating the commission plan for a specific Sales Agent Group make the selection from the drop down list. If the commission is to be associated with an individual sales agent, keep this field blank. Check mark the "Commission Plan Is Active" to activate the commission plan. 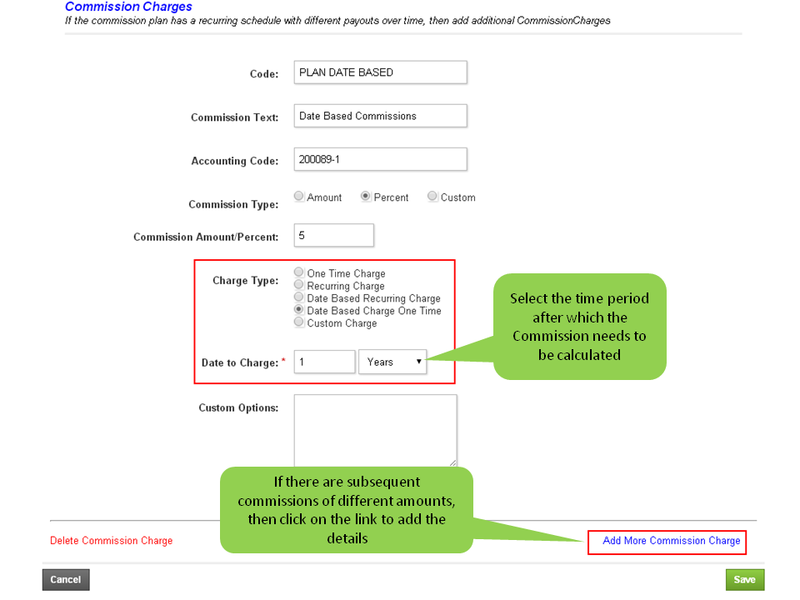 For the Commission Charges, enter a commission code, commission text and the accounting code under which the commissions are recorded in your ERP system. Example: 5% commission recurring charge is applied on every invoice generated.